Leasing or financing your next Jaguar vehicle can be a stressful process. 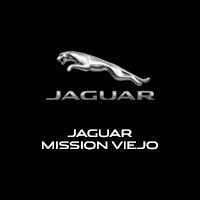 Thanks to the 27 Jaguar vehicles that qualify for lease and finance specials at Jaguar Mission Viejo, the leasing or financing process doesn’t have to be stressful whatsoever. At our dealership, you can find the Jaguar F-TYPE special or budget-friendly Jaguar XE lease deal that won’t pinch your pocketbook. After you’ve browsed our dealer specials online, take the drive from Laguna Beach to Mission Viejo for a test drive. And if you have any questions along the way about our dealer lease and finance specials or our new vehicle inventory generally, reach out to our team at any time. We are here to walk you through the lease or finance process, how you can upgrade your Jaguar. We’re even here to inform you of California driving laws! If you’ve been searching for that perfect F-PACE, XF, or Jaguer F-TYPE special in the Irvine area, then you owe it to yourself to visit Jaguar Mission Viejo. We’re here to help make the car shopping process as simple and hassle-free as possible. Use our handy online tools to value your trade-in, calculate your payments, and apply for financing, before visiting our Jaguar showroom. If you’d like more information on our current dealer specials please give us a call at %%di_phone_number%%.